Unfiltered, slightly cloudy ale brewed with Icelandic barley and organic Icelandic thyme in honor of Snorri Sturluson, chieftain at Borg, the manor our brewery is named after. The pungent aroma of the thyme juxtaposes the fresh, fruity taste, giving Snorri a unique character. 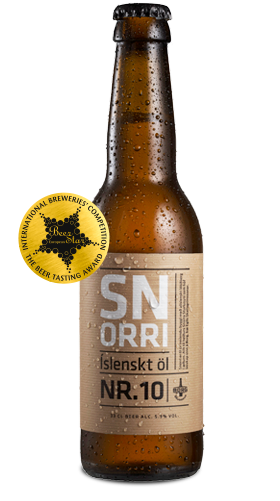 Ingredients: Pure Icelandic water, malted barley, malted wheat, non-malted Icelandic barley, hops, arctic thyme and yeast.